The Tampa Bay Rays were a lot of things Friday night -- and some of them weren't so good -- before finishing an 11-7 victory over the Toronto Blue Jays. Tampa Bay is now 11-3 and 5 1/2 games up in the American League East. Certainly, for much of the game, the Rays looked like a powerhouse. They took an 8-0 lead into the bottom of the seventh. Mind you, an eight-run lead with nine outs to go is a fairly enviable position, but the Rays stumbled. Yonny Chirinos, who had been so impressive in his two starts (a 2-0 record and a 0.75 ERA), was shelled. He gave up six earned runs in 2 1/3 innings to make it a game again. In fact, the Jays were within 8-7 and had the bases loaded in the eighth before Diego Castillo got Luke Maile to strike out (after he had him 3-0 in the count). The Rays got two home runs each from Austin Meadows and Brandon Lowe. They got a two-run homer as insurance in the ninth from Willie Adames. "We have a lot of guys doing good things," Rays' manager Kevin Cash said. "Austin's at the top of the list. He’s really locked in. I think the consistent reps have helped him. Every at bat, it seems he’s doing damage or he’s working deep into the count for a walk, He’s playing very special right now." Cash shrugged of Chirinos' effort. “He just got out of whack for whatever reason," Cash said. "The telling thing was that we had all the confidence in the world for him to get through it. It didn’t happen, but hopefully he takes it as a boost of confidence. He was one pitch away." Besides their five homers, the Rays also had 16 hits for the night. Meadows (hitting .367) and Avisail Garcia (.349) each had three hits. Lowe, Kevin Kiermaier and Adames had two. The Rays have now scored at least nine runs in three straight games. Tampa Bay has the best record in the major leagues since the 2018 all-star break at 51-28. The Rays play the Blue Jays again today at 3:07 p.m. at the Rodgers Center. Blake Snell pitches for the Rays against Toronto's Clay Buchholz. 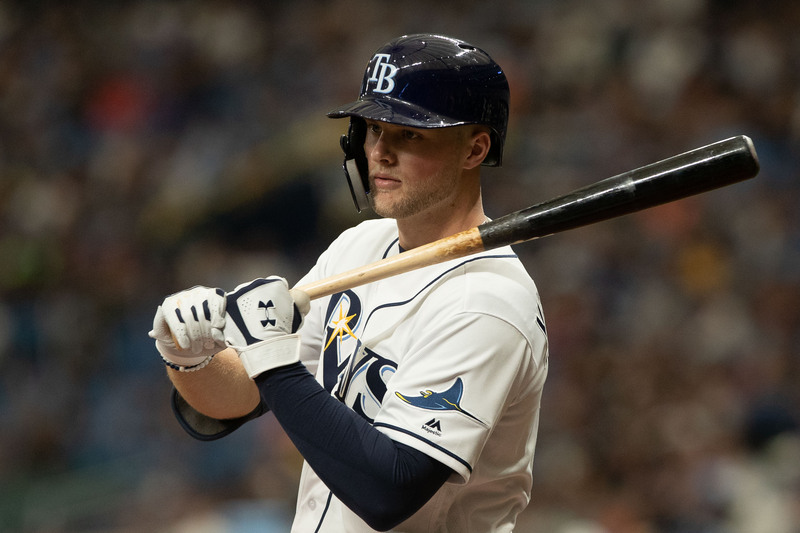 Next post: Ask Gary: Are the Rays good enough at trading?